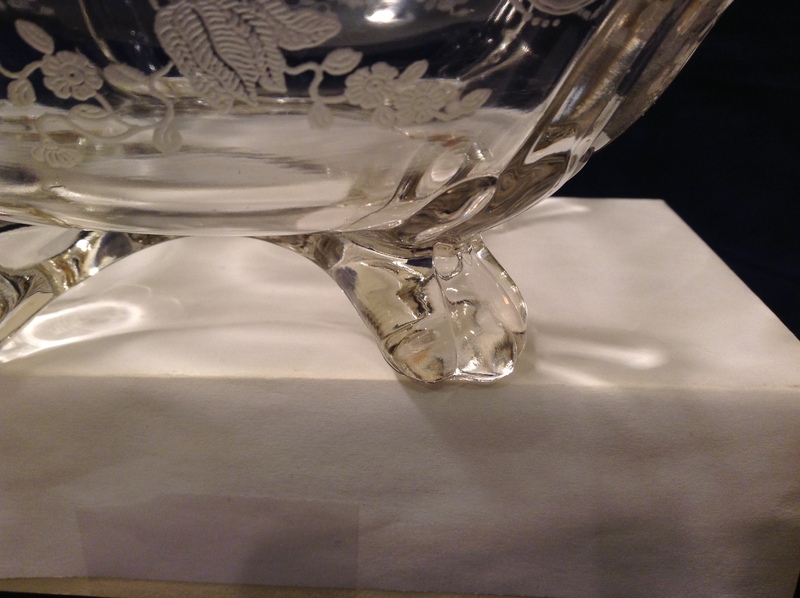 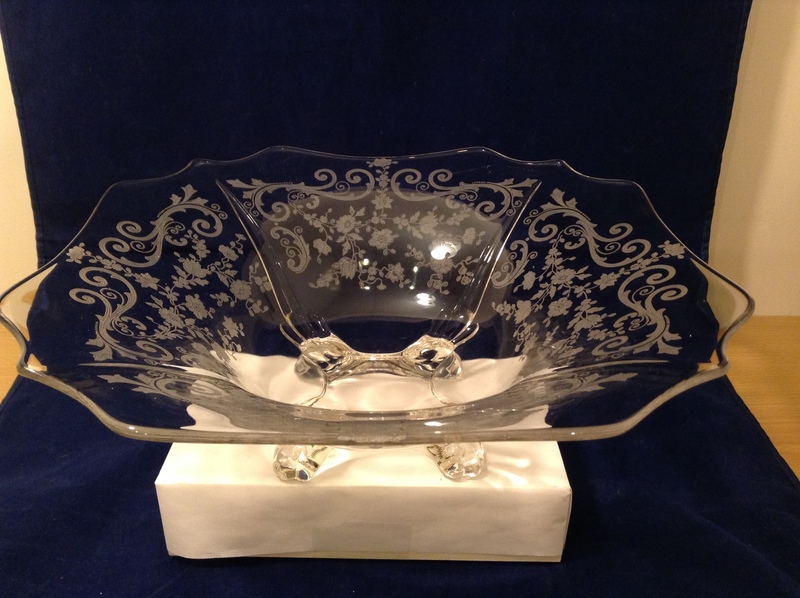 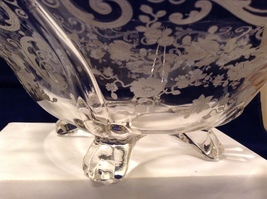 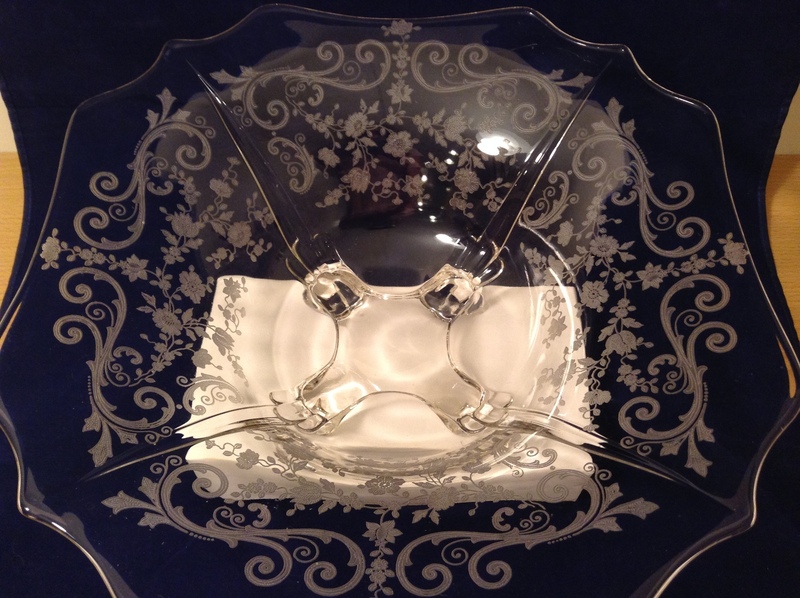 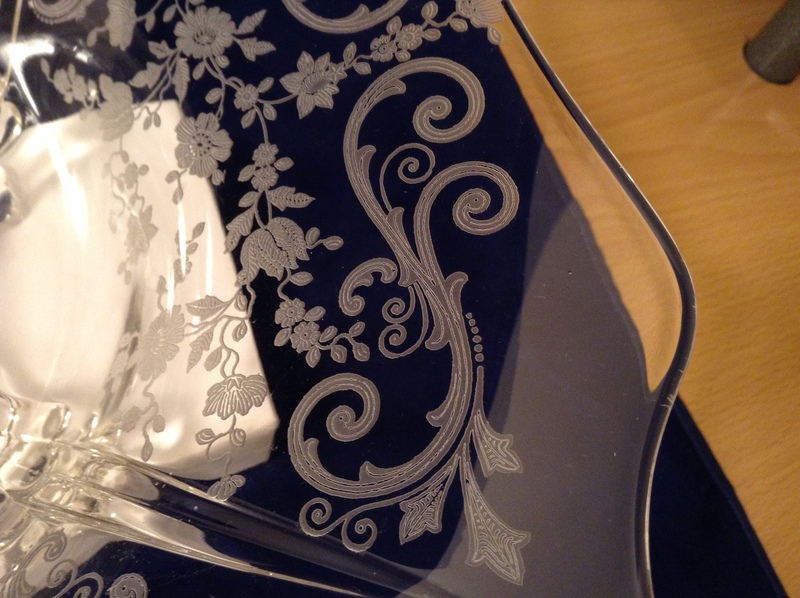 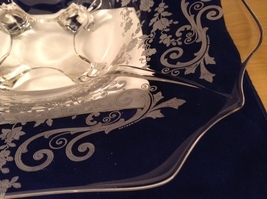 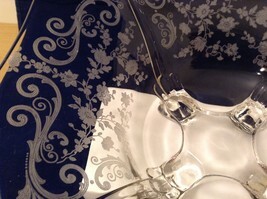 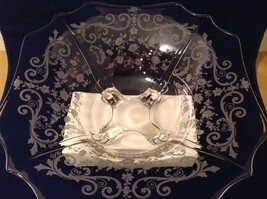 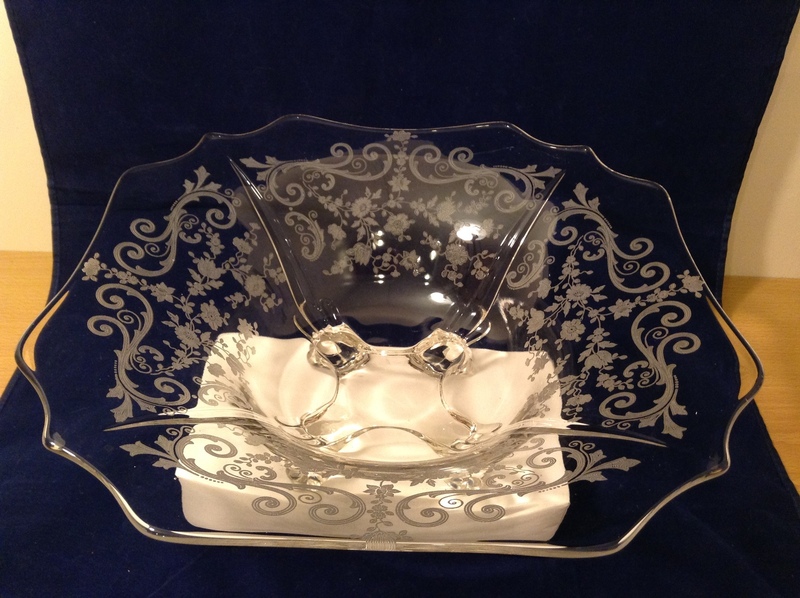 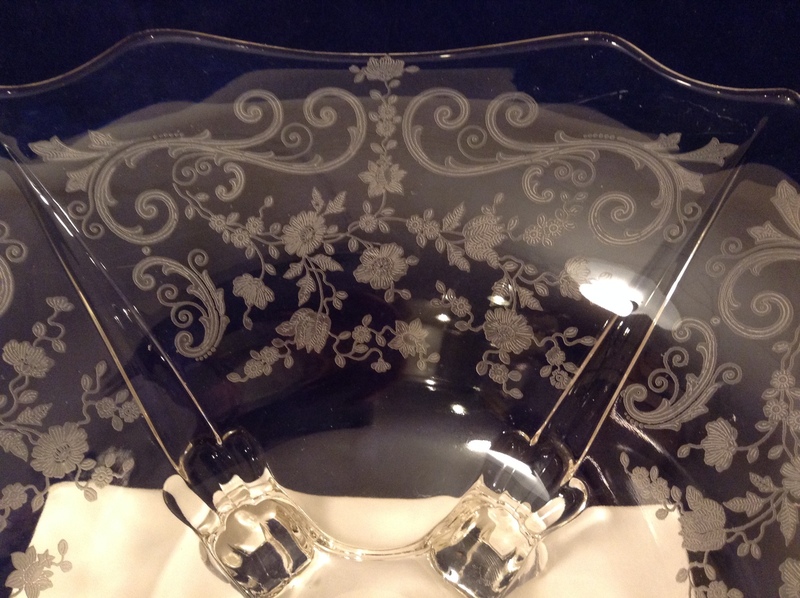 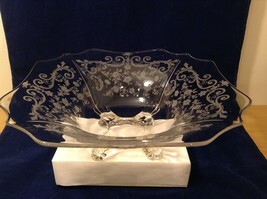 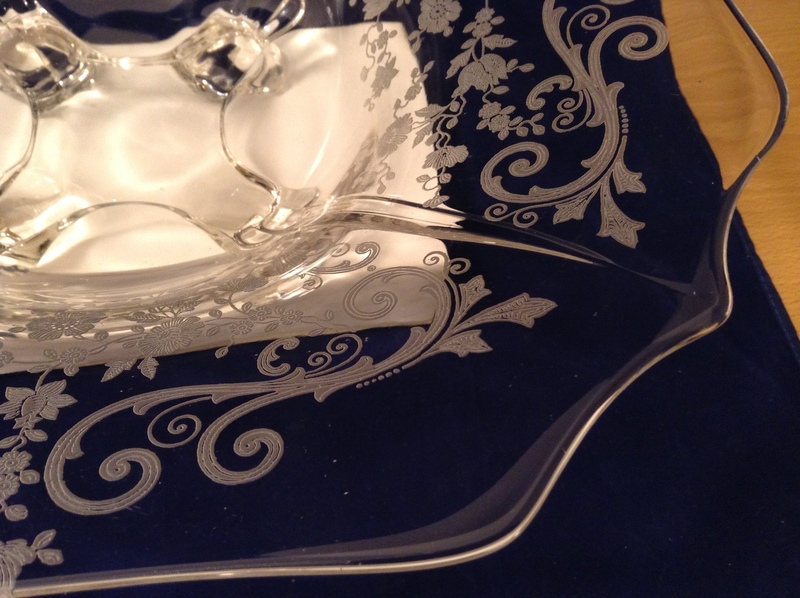 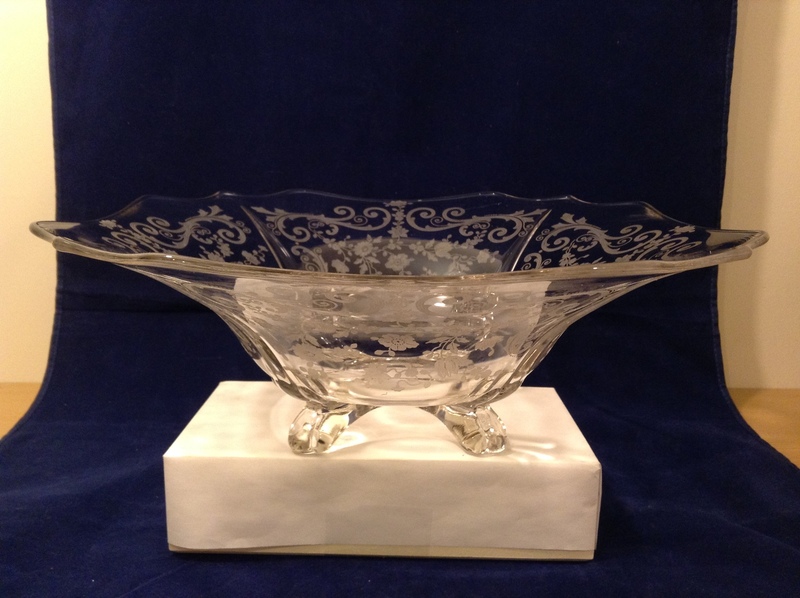 Vintage Fostoria Display Bowl Clear Glass with Floral Design, Four Footed. 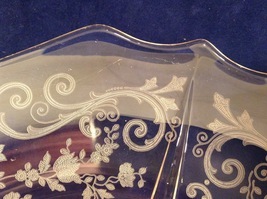 * has one scratch about 2-1/2" long. Measurements: Width 13 ", Height 4-1/4 ".